When did you first know you wanted to write? I’ve been writing for many years, but it wasn’t until I wrote The Godling Chronicles, that I considered becoming a full-time, honest to God, writer. The journey through this world of fantasy has been inspirational, and has prompted me to continue. 2. Which authors inspire you the most? Tolkien, of course. But, Peirs Anthony, Robert Jordan, Brandon Sanderson, Dan Brown, as well as a host of others, have been inspirational and influential. 3.How did you get the inspiration for your novel? My son came up with the original concept. He came home one day after school and could not wait to tell me. I was working on an occult thriller at the time. I immediately dropped it and set to writing The Godling Chronicles. 4. What is your favorite part about being an author? 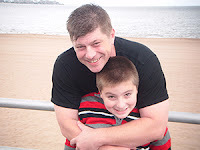 The time I have to be a father. You can only write a certain number of hours per day before you burn out. And even if I wrote eight or more hours, I can choose when. It’s very freeing to be able to pick your own family time. 5. What is your least favorite part about being an author? It can be a bit sedentary. It’s hard to maintain good health and a sharp mind when you are sitting in front of a computer all the time. 6. Could you write a bit about what your publication process was like? For me it’s pretty simple (or at least I keep it simple). After I finish my drafts, of which I only write two, I send it off to editing. Once I receive the work back from editing, I go over the notes, and make whatever changes necessary. From there I send the book to the publisher for formatting. Once that is done, it goes to the proofers. That really the last stage until release as far as the actual book is concerned. There is other things such as picking a cover, and pre-release marketing, but that’s another conversation. 7. Do you have any upcoming projects? Now that Book Three is completed, I have been working on a short story featuring the Lee Starfinder character (from The Godling Chronicles), in his younger days. I’m also planning an anthology with a few other authors I know. 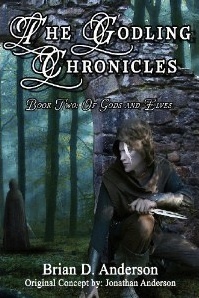 But beyond that, I intend to keep writing The Godling Chronicles until they’re all finished. The next one hopefully by the end of the year. 8. Describe in three or fewer sentences what makes your book unique and why a reader should buy it. 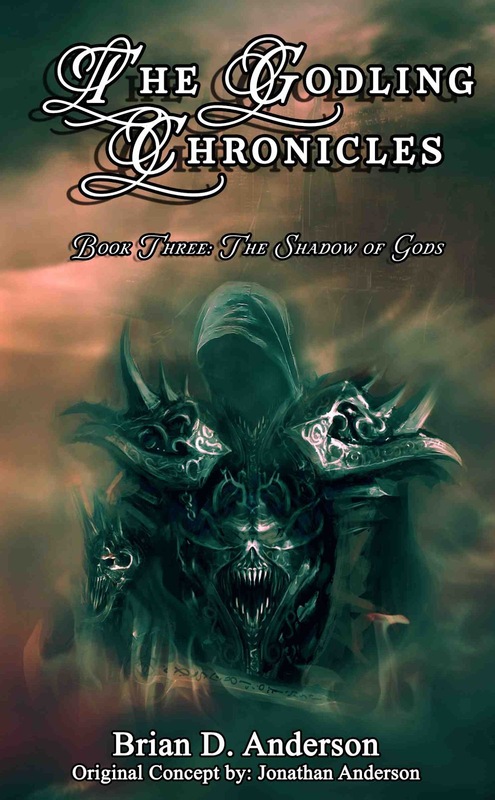 I can describe it in one-The Godling Chronicles is a fantasy tale filled with action, adventure, romance, and a world of colorful characters that will help you escape from the hum drum drudgery of day-to-day life. - Isn’t that what a good fantasy novel supposed to do? Nothing more, nothing less. Brian D. Anderson debuted as an indie author in fall 2012 with The Godling Chronicles, a multi-book young adult fantasy series from GMTA Publishing that sold 10,000 copies in just the first three months. 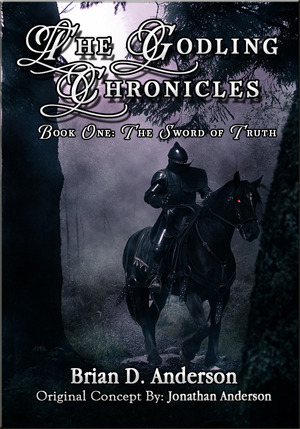 The continued and growing success of his first two titles, Book One: The Sword of Truth and Book Two: Of God and Elves, allowed Anderson to start writing full-time. He releases the third installment of his series this spring, and is already at work on the fourth and fifth novels. Anderson was born in 1971 in the small town of Spanish Fort, Alabama and lived throughout the coastal state also in Fairhope and Mobile during college, where he developed a love of fantasy novels. He lived and worked in New York for years with his wife and son – who created the original concept for The Godling Chronicles – and the family is heading back down south for a beach life in Pensacola, Florida.